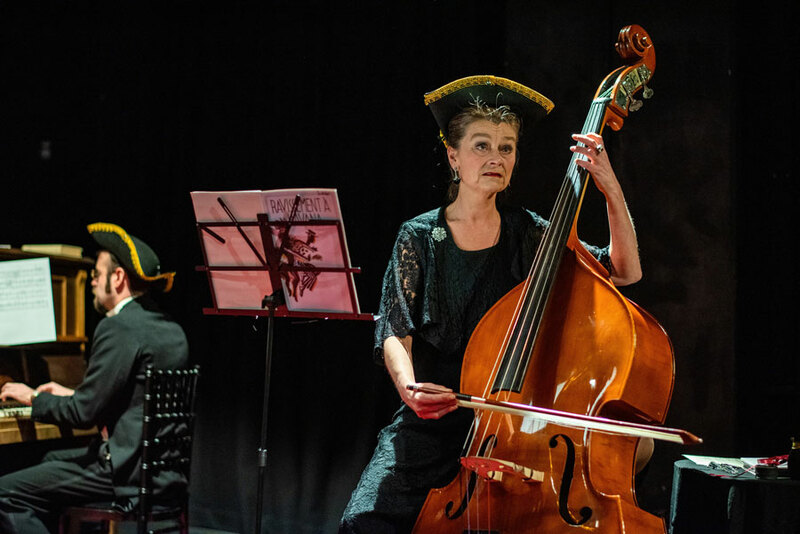 Jennifer Christie reviews Jean Anouilh’s The Orchestra now playing at the Omnibus Theatre. The Orchestra is a whimsical short play selected by the director Kristine Landon-Smith for production by TeatroLatino. Landon-Smith chose The Orchestra as a classic gem from the pen of Jean Anouilh, a French playwright of the 20th century that had previously caught her directorial eye. 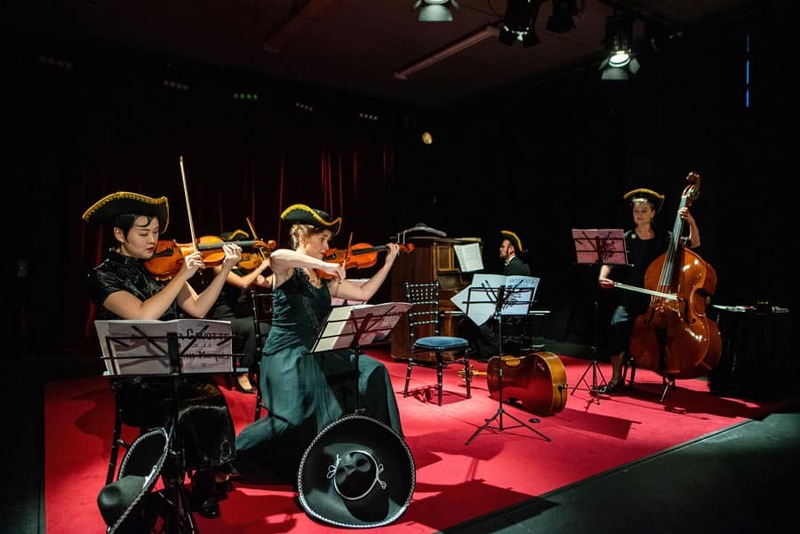 The Orchestra has enjoyed many previous seasons around the world and is currently playing at the Omnibus Theatre. The Omnibus Theatre is an independent theatre, a cultural centre for the whole community. It runs an ambitious program of re-imagined classics and contemporary storytelling with evenings of jazz music and art projects as well. The Orchestra belongs to the large canon of the classic work of Jean Anouilh. The Orchestra is described by the director as a story of ‘tired musicians playing tired music’. A third-rate orchestra plays in post-WW2 days in a provincial French spa town. Moments of music are interspersed with witty and pithy comments between the players that lead to disaster. The leader of the band considers that the consequences for her orchestra are far more alarming than the loss of the cellist. Much of the humour is darkly amusing, this is after all not an English farce. 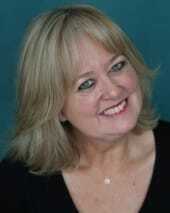 Mme Hortense leads the band and Amanda Osborne who plays the role certainly leads the ensemble cast of actors. It is Osborne who pushes the pace and stirs the action. She is delightful in the role. Much of the banter between the music focuses on Mme Hortense flirting with the pianist, M Leon which revs up his lover, Suzanne, on the cello. Pedro Casarin plays M Leon, a hapless man caught in the crossfire in well in a nicely timed and understated fashion. Stefania Licari as Suzanne is a lot more outspoken and overdramatic in her responses. It is difficult sometimes to understand the disparate accents given within the ensemble and some of the dense wording in lost in the mix. This diversity in delivery reflects not only the backgrounds of the cast but also previous work of the director who has developed an intracultural practice. Whilst an ethos of inclusiveness is a positive development in performing arts when the play itself is so site-specific the multiplicity of language can confuse. The Orchestra is an amusing divertissement.